Hi I have some medical collections on my credit report and was wondering if this will affect me getting a car loan. I have not pulled my credit report yet so I am not sure what my scores are, but know the debt I owe is around $2500 for a surgery I had. What type of credit scores are auto lenders looking for? What is considered a good credit score for auto loans? I am not sure if your medical collection was the result of the hospital not coding something correctly so your insurance would pay. I do know that this is a common problem if you have insurance. The insurance claim was coded wrong; therefore the insurance company would not pay. If this is not the case, yes any collection hurts your credit report. This negative mark on your credit report reports every 30 days. My suggestion would be to settle on it, so the balanced owed goes away. Typically car dealerships are able to get low credit scores financed, but you will pay for it. To get the best rates you typically need a credit score of 660 or above. Hello I have been trying to establish credit after a divorce my credit has been ruined. I have tried applying for different credit cards. I have been denied for all of them due to my credit score report. What do you guys recommend I do? I need a couple credit cards to get some credit going. I currently don’t have any credit at all. Most of my good credit went south during a nasty divorce. We are sorry to hear about the divorce. This type of history is all too common after divorces. 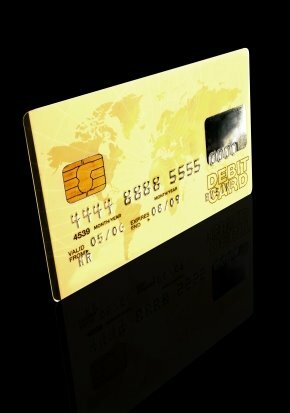 If you have applied for un-secured credit cards and been denied then you must start out with secured credit cards. Secured credit cards are where you give the bank usually between $200 and $300 in a bank of there choice to secure the credit card. Secured credit cards are the quickest way to establish credit. After good history you will start getting all kinds of credit card offers in the mail. 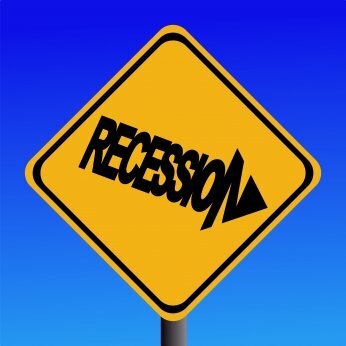 How a Recession can be good for you. With all the talk about a recession and the negative press about credit reports, credit scores, saving money and high gas prices there are actually some good out of all of this. During the Reagan years was the last time we experience an economic down turn. Here are some positive sides to the entire deal. With the rise in gas and food fewer families are going out to eat. This is a perfect time for families to do what they should have been doing all along. I personally thing we are all spoiled and spend way too much money on STUFF that is not important. Sometimes for us to come to reality with how fortunate we are, it takes times like these to look back on what is really important. Your family and setting down with them at the dinner table. Not too long ago the gas stations where storming with people in all sorts of vehicles. Now you can go to the gas stating and not worry about a crowd. With creditors tightening up on your requirement to give out credit, you can rest assure you will not see as much credit offers in the mail. Over the years I am sure you mailbox was stuffed with credit card offers and low interest rate mortgages. You can count on that dissipating. With sales being down just about with every company, you can count on coupons to entice you to buy. I may not be a bad idea to get a paper, and start clipping, you would be surprised how much you can save with coupons. Now that we are being forced to watch our pennies, public transportation may not look all that bad. Maybe car pooling with fellow co-worker would be a option. Since gas prices have increased so much, gas is almost 40% higher in 2008; you can expect great deals on cars. SUV’s sales prices dropped dramatically once we hit $3.50 a gallon. 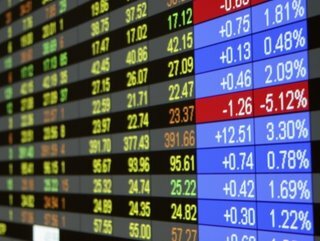 These are some positive sides to a possible recession. The one thing we need to remember is what is really important, and that is family. With the decrease in the flow of extra money this is a perfect time to hang out with family and have bar-b-q. Do you want your credit score to plummet, go ahead and co-sign for someone. I personally believe this is a huge problem. With your credit score and credit report being the road map to financial health, the question is can you really afford to co-sign for friends and family. Over the years I have seen more problems with this issue. Here is how a co-signer can affect your personal credit. If you co-sign for a family member your credit report could be at risk. If for some reason the family member is late on an obligation you co-signed for your credit score just dropped about 100 points. Most people don’t thing about this, but it happens all the time. Anytime someone is late on a obligation that reports to all 3 credit bureaus, that bad mark will be on there for 7 years. It’s not worth it. If you have to co-sign for someone make sure you are not getting ready to make a big purchase, because it could affect your purchasing power as well. Some banks like to see a payment history in good standing usually around 12 months on co-signed obligations. They also typically like to see proof that the payment is coming out of the person’s bank account you co-signed for. So co-signing opens up all kinds of worms in the world of finance. Once you have co-signed on a loan for a friend or family member it could affect your ability to get a loan for something else. That added debt that is showing up on your credit report is technically your responsibility as well. Let’s assume you have this car note you co-signed for and the payment is $500.00 a month. You have now added this debt to your portfolio of debts in a underwriters eyes. In order to buy something else an underwriter may require a good 12 month payment history by the other party to disallow a debt from your portfolio of obligations. So with this being said think real hard before you co-sign on anything. I don’t recommend it. There are ways for someone to get there credit established so they can get loans in their own name. The internet is a great resource. There is anything you can imagine on the web to help you achieve just about anything, including getting your own credit established so you don’t need a co-signer. The Feds cut rates, but mortgage rates go up -Why? Most people think if the Federal Reserve cuts interest rates, mortgage rates will go down as well. This simply is not true. The rates you pay on credit cards, auto loans, and mortgage rates are not set by the Federal Reserve. However the Federal Reserve does affect what is known as the Federal Fund Target Rate. Here are the details. The Federal Reserve meets on a regular basis to monitor the Federal Fund Target rate. They decide during this meeting whether to increase or lower the rate. So the target is the rate. The real rate changes daily, but is usually real close to the target rate determined by the fed. The Federal Fund Rate is the rate that the banks charge each other for overnight loans. If a bank is low on funds it borrows the money from a fellow bank. The loan will be based on the Federal Fund rate set by the Federal Reserve. Banks are required to keep a certain amount of reserves in their bank or vault, typically around 10%. So at the end of the day if the bank only has 9 % reserves in the bank, they are required to borrow the rest from another bank at the Federal Fund rate. Understanding the Federal Fund rate is key to understanding why a rate cut with the Federal Reserve does not dictate mortgage interest rates. Now we are going to take a look at how investment groups dealing with mortgage paper do business. These groups of investors convince pension managers and insurance companies to invest their money in their investment fund. They then turn around and lend that money to people like you and me that need mortgages. Typically these investors will turn around and sell these loans on the secondary market at Wall Street for a nice profit. The process is continued over and over. Let’s assume you are the head of the investment fund. Your job is to make as much money as you can on the loans you have in your portfolio, so you can sell them easily on Wall Street. So the higher the interest rate for the borrower the more money everyone makes. Wall Street will bundle these loans which are commonly called “mortgage backed securities.” These securities are traded on Wall Street just like any other stock. As long as investors on Wall Street are buying mortgage backed securities all is good. As the head of a investment fund are you going to be more worried about the Federal Fund Rate (the rate banks charge other banks to borrow money) or will you be concerned with the markets performance of mortgage backed securities? If you guessed mortgage backed securities you guessed right. The manager will be more concerned about how the market is dong for what it has to sell in its pool of loans. So the mortgage backed securities market dictates interest rates we pay. So it is very simple to see that the Federal Reserve rate is the rate at which banks borrow money from each other overnight. This will not have much of an affect on how consumers borrow money over 30 years. However the lowest rates in history were at a time when the Feds cut interest rates at an all time low. So indirectly the Fed Fund Rate can affect mortgage interest rates. 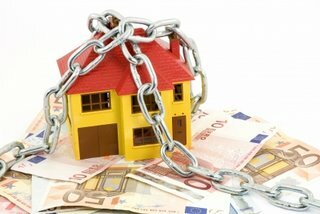 But it is important to understand that it does not directly affect mortgage rates. The Federal Reserve affects financial markets, which in turn could affect mortgage interest rates down the road. But typically mortgage rates are affected by the market for Mortgage Backed Securities. So if the Federal Reserve drops rates on Monday, that does not mean interest rates will drop on Tuesday. I have closed 2 credit cards that I have not used in years. I have 3 other credit cards that I use with lower interest rates and fees. That is the reason I closed them. I was reading through some of your articles and noticed you recommended not closing out credit cards. How much do you think this will affect my credit score? I currently have excellent credit and hope I did not mess up my credit score. Yes I am against closing out good credit reporting on your credit report. This does affect your credit scores, because you just got rid of good credit. Typically you will see around a 10 to 15 point drop in your credit scores. Since you have other credit cards this should be temporary. Just make sure you keep your credit card balances below 30% of credit limit. My FICO recommends a mix of credit as well. For instance credit cards, car loans, installment loans, etc…….Good luck to you. About the Author: Mike Clover is the owner of http://www.creditscorequick.com/. CreditScoreQuick.com is the one of the most unique on-line resources for free credit score report, fico score, free credit check, identity theft protection, secured credit cards, student credit cards , credit cards, mortgage loans, auto loans, insurance, debt consolidation ,and a BlOG with a wealth of personal credit information. The information within this website is written by professionals that know about credit, and what determines ones credit worthiness. I have a question in regards to bankruptcy. I have just recently discharged my chapter 13 bankruptcy. I was curious how long it will be on my credit report. I have looked all over the web and found different answers to this. I also was curious what was recommended to re-establish some credit. I currently don’t have any credit reporting on my credit report. The bankruptcy said I should be able to re-establish credit right a way. Thanks for the question. Bankruptcy can be confusing at times with how long is stays on your credit report. Chapter 13 bankruptcy will be on your credit report for 7 years from file date. You will need to check your credit report because the bureaus usually don’t update this properly. After filing bankruptcy and it has been discharged, getting your credit rebuilt is your next step. The best way to do this is with secured credit cards. You can go to our credit card tab and apply for some credit cards there. We recommend Orchard Bank Card as your first choice. You should have at least 2 credit cards to get your credit scores boosted. With all the changes in the lending industry, you would think that no one can get a loan anymore. Conventional loans have gotten so tough most are going with FHA loans now. FHA has been the savior in a lot of crazy lending markets. With the current credit crunch and record foreclosures, FHA is now implementing risk based mortgage insurance premiums (MIP). This fee insures the loan with HUD. So just like anything else, if your credit score is low you will pay for it. In the past your credit score did not matter, but now it does. The way MIP worked in the past was everyone paid a 1.5% of the total loan amount in insurance. This upfront fee was financed in the note. The new mortgage insurance premium will range between (1.25% – 2.25%). So for borrowers with low credit scores you will now pay .75% more in premium. For borrowers with good credit they will save .25% in premium. Depending on what your FICO score is, will determine how much you pay. You can see if your credit score is low, you will be financing more which will increase your payment as well. I believe this is just a tip of the ice berg with the changes in all sectors of lending. If you are getting ready to buy a home, you might consider pulling a recent copy of your credit report with scores to see where you stand. If you don’t want to pay more and feel that your have low credit scores, go ahead and take the plunge. Get your credit report and start working on any issues you may have. If you don’t fix your credit it will cost you unnecessary money long term. FHA is still the strongest loan in our current market, but with credit issues you will pay more for it. I have never seen such tightening up in the lending market like we currently are experiencing. I can’t say I don’t blame the banks, because everyone want there money back they have loaned out. I guess you would have to put yourself in their shoes, how would you feel if you loaned someone $100,000 and they did not pay it back to you? With this new FHA change that was implemented on July 11, 2008 here is how this affects multiple borrowers. If two borrowers are involved on a FHA loan, the MIP will be based on the borrower with the lower credit score. So you could have one borrower with excellent credit, but have a borrower with low credit score that would cause a higher mortgage insurance premium for the entire loan. I have a tax lien on my credit report from 1998. This tax lien was due to taxes on a 1099 job I had for 2 years. I did not pay the amount owed for the year of 1997. The IRS filed a tax lien for $12,000. My attorney said it should drop off after seven years. Well 7 years was a while back. What am I missing here? I have been told this tax lien will affect my credit score as well. I want to resolve this matter as quick as possible. I am getting ready to sell my home and purchase another home. Determining when collections are going to come off your credit report might seem simple, but there are some types of credit report activity that does not apply to the 7 year rule. Tax liens are one of those debts owed that will not go away until you pay it. The Fair Credit Reporting ACT has different rules for this type of debt owed. Here are the facts. • Unpaid Tax Liens- there is not a set expiration date for unpaid tax liens according to the FCRA. So tax liens will stay on your credit report until you pay it. Some credit bureaus cap how long they report records like tax liens for up to 15 years. So if a tax lien has been reporting for over 15 years, you might consider disputing to see if the bureaus will remove. • Paid Tax Liens – Once a tax lien is paid off, the tax lien will report on your credit report for 7 years from paid date. Tax liens are the only record where the expiration date is tied to repayment. Jim you do have a chance of getting this record off by disputing it. There is no guarantee it will com off though. You will more than likely have to pay the debt off. You can use our how to dispute process here. I need some advice on increasing my credit score. I currently have a 640 credit score. My goal is to get my score around a 720 or above. I currently have a credit card with Bank of America, and a credit card with American Express. I also have a car note around 350 a month. I just recently bought my car 6 months ago. I paid $17,000 for the car. What do you recommend I do to get my scores around 720 or above. I dont have any collections or slow pays. Credit card debt is one of the quickest ways to lower your credit scores. Amounts owed on credit is 30% of your credit score. The rule of thumb is to keep your credit card balances well below 30% of your allowed credit limit. It looks like your Bank of America credit card is well above 30% of the allowed credit limit. I would pay this card down as quick as possible. You should not have more than $3000 on this card at any given time. This is one reason why your credit score is low. Your American Express card has the same issue going on. You should not charge more than $4500 on this card as well. Both your credit card balances are bringing down your credit score. If you were to get both these cards below 30% of the allowed credit limit your credit scores should increase to around 720 or so. CreditScoreQuick.com is the one of the most unique on-line resources for free credit score report, fico score, free credit check, identity theft protection, secured credit cards, student credit cards , credit cards, mortgage loans, auto loans, insurance, debt consolidation ,and a BlOG with a wealth of personal credit information. The information within this website is written by professionals that know about credit, and what determines ones credit worthiness.